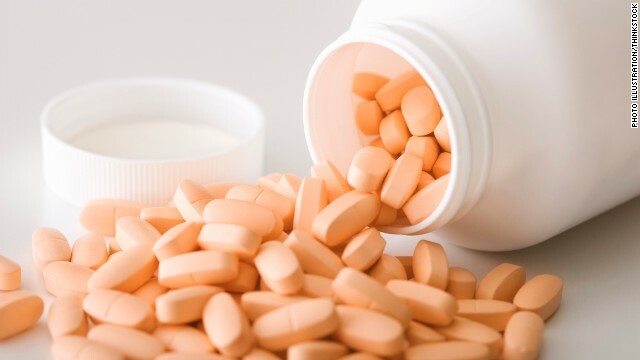 More than half of all adults in the United States take some sort of multivitamin; many do so in hopes of preventing heart disease and cancer or even to aid with memory. But an editorial published in this week’s Annals of Internal Medicine says that using supplements and multivitamins to prevent chronic conditions is a waste of money. “The (vitamin and supplement) industry is based on anecdote, people saying ‘I take this, and it makes me feel better,’ said Dr. Edgar Miller, professor of medicine and epidemiology at Johns Hopkins University School of Medicine and co-author of the editorial. The editorial, “Enough is Enough: Stop Wasting Money on Vitamin and Mineral Supplements,” is based on three studies looking at the effects of multivitamins on preventing heart attacks and cancer, as well as improving cognitive function in men older than 65. All three studies were also published in this week’s Annals of Internal Medicine. The first study was a meta-analysis of 27 studies that covered more than 450,000 participants and found that multivitamins had no beneficial effect on preventing cardiovascular disease or cancer. In addition, taking vitamins didn’t prevent mortality in any way. However, the analysis did confirm that smokers who took only beta carotene supplements increased their risk of lung cancer. When taking multivitamins to prevent a second heart attack, authors again found no beneficial evidence. The second study looked at 1,700 patients who previously had heart attacks. They were assigned to take three multivitamins or placebos twice a day for five years. However, with more than 50% of patients stopping their medications, it was difficult for authors to come to any real conclusions about the vitamins’ effectiveness. With such a high drop-out rate, “interpretation is very difficult,” said Miller. The final study followed nearly 6,000 men older than 65, who took either a multivitamin or a placebo for 12 years. The men were administered cognitive functioning tests, and test results found no differences between the two groups. However, Gladys Block, a professor of nutrition and epidemiology at University of California Berkeley, pointed out that the group of men followed in the cognitive study were all physicians with no health problems. “These are very well-nourished, very health-conscious people,” she said. In fact, she says none of the studies accurately represents the American population. Block has spent her life studying the role of Vitamin C, in particular, on disease risk factors and says that most Americans are undernourished. She says that most Americans don’t have a healthy diet, and therefore don’t get the vitamins and minerals they need. “You’re not getting any of these micronutrients from Coke and Twinkies,” said Block. Vitamins: Too much of a not-so-good thing? Cara Welch, senior vice president of the Natural Products Association, agreed with Block. The Natural Products Association is the largest trade organization representing the manufacturers and retailers of the natural products industry, including vitamins. The vitamin and supplement industry rakes in nearly $12 billion annually, according to the researchers, with multivitamins its most popular product. Miller, however, disagreed that the studies didn’t represent the general public. Some groups, however, do need supplements, he said. Miller also said the jury is still out on Vitamin D, which can help strengthen bones, and omega-3 fatty acids, including DHA and EPA. Miller said the studies were unlikely to change any clinical standards, and that focusing on diet and exercise remain key to maintaining a healthy lifestyle. It’s something with which Block can agree. “Eat fruits and vegetables,” she said.